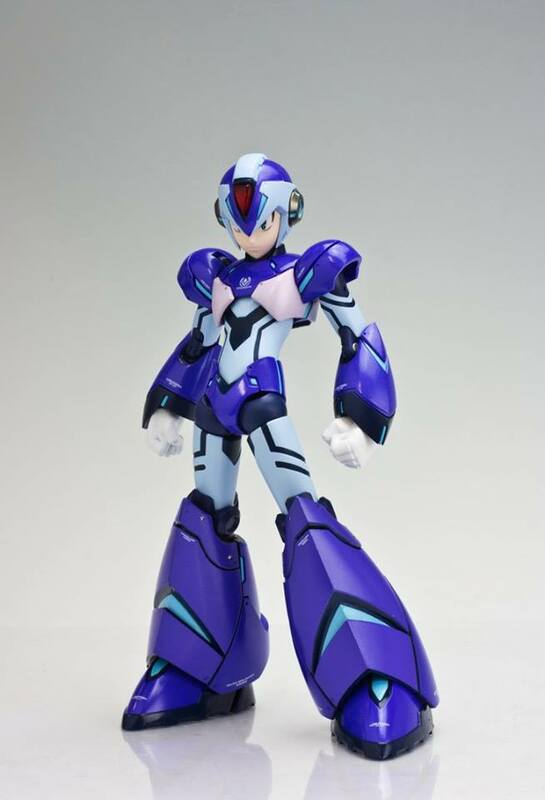 After seeing a few photos of the painted prototype, we now have a much better look at the upcoming Mega Man X figure. 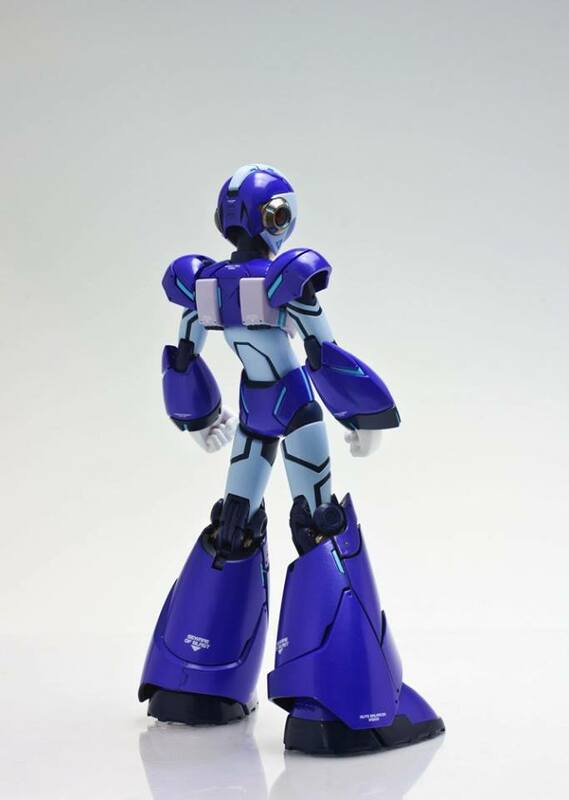 TruForce has loaded up some official images of the fully painted prototype. 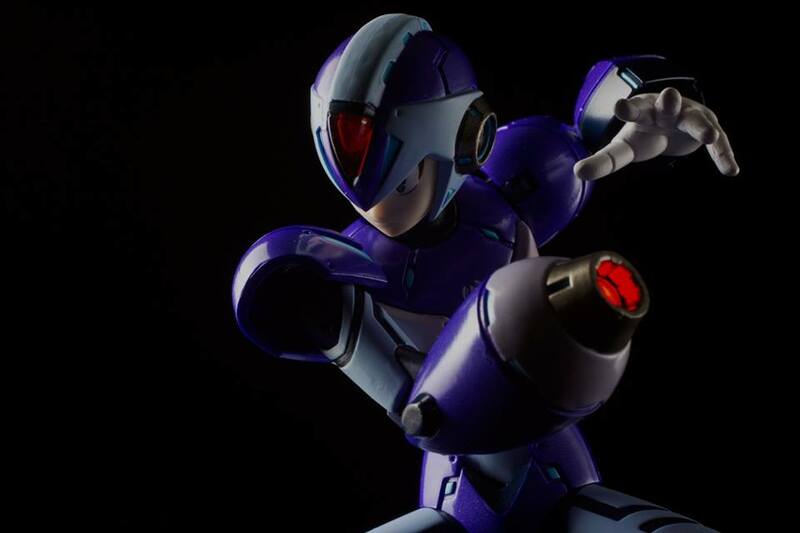 The 6″ tall Mega Man X Figure will feature over 30 points of articulation. It has a mix of plastic and diecast parts. 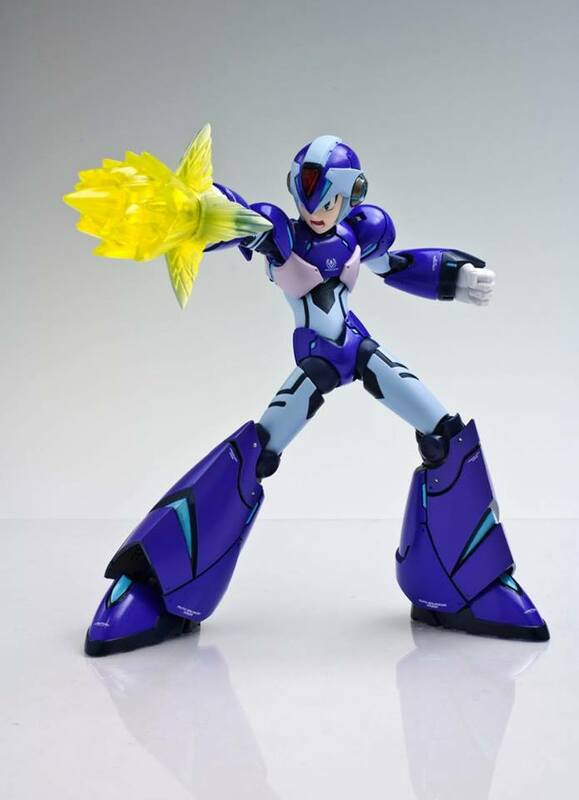 It will also include a light up LED Mega Buster hand, a few swappable parts as well as a figure stand. It’s due out in September at a price of $79.99. Truforce updated their facebook with a couple of teaser shots. It's looking good. Thanks for the heads up. I love the design tweaks, and they all work so fluidly into the arsenal and boosters. 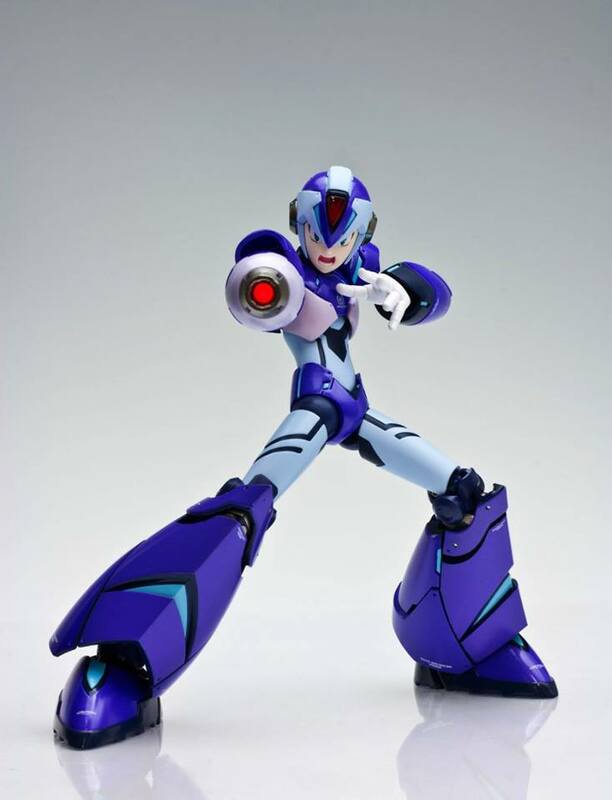 Gotta admit, I thought for the most part outside of Zero series stuff that I was done with Megaman figures, but I'm sold on this one and I don't even buy 6'' scale stuff anymore. 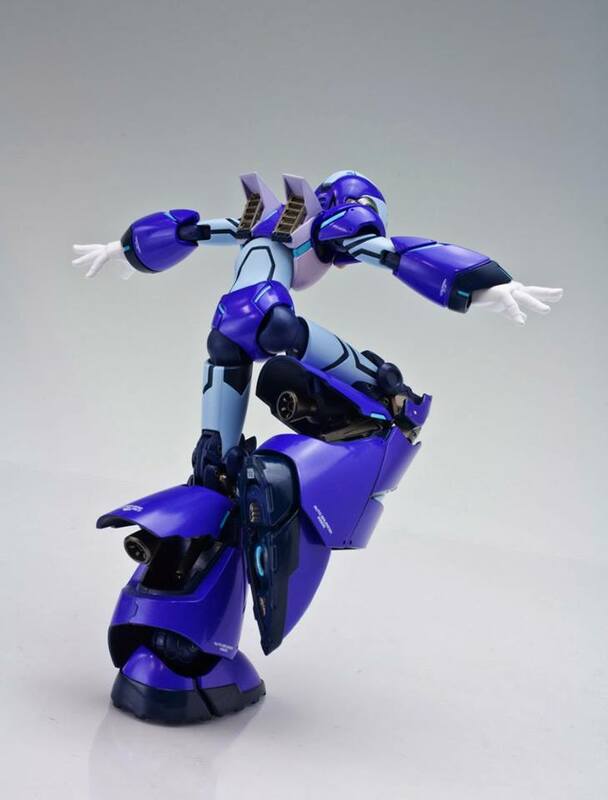 Is this in scale with the D-Arts figures, by chance? The D-Arts are, I believe, roughly 5" tall. 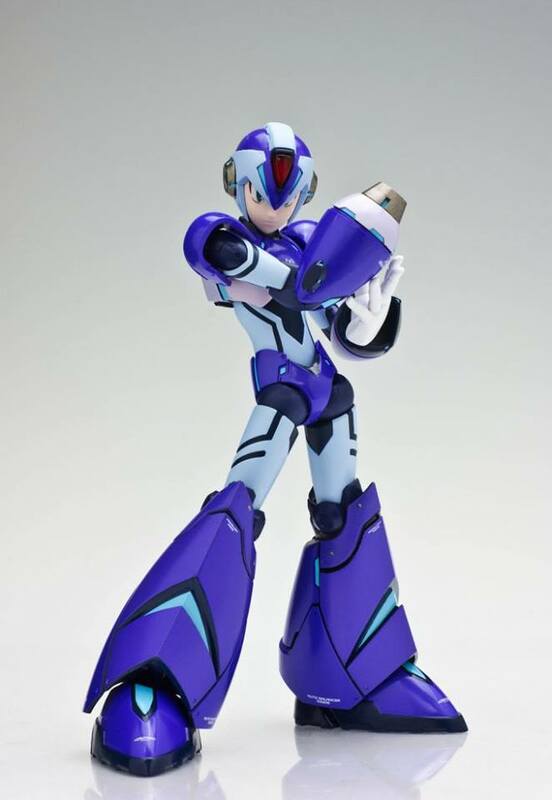 So the X will be an inch larger. 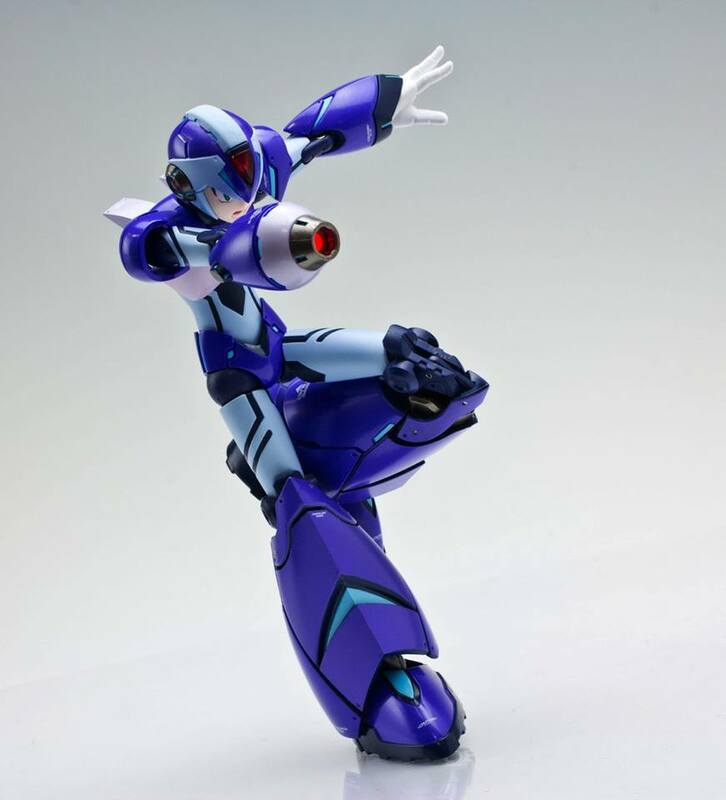 I've always heard D-Arts referred to as a 6" scale toyline, even though the figures themselves are shorter. I was hoping the same would be true here. 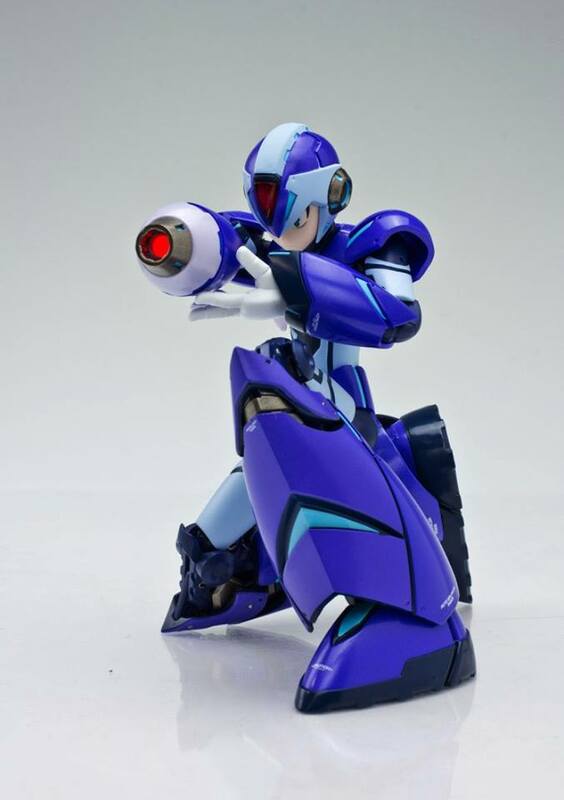 megaman isn't really my thing, but that is preeetty cool. but 80 bones!?!?! uummm, no. no thank you. 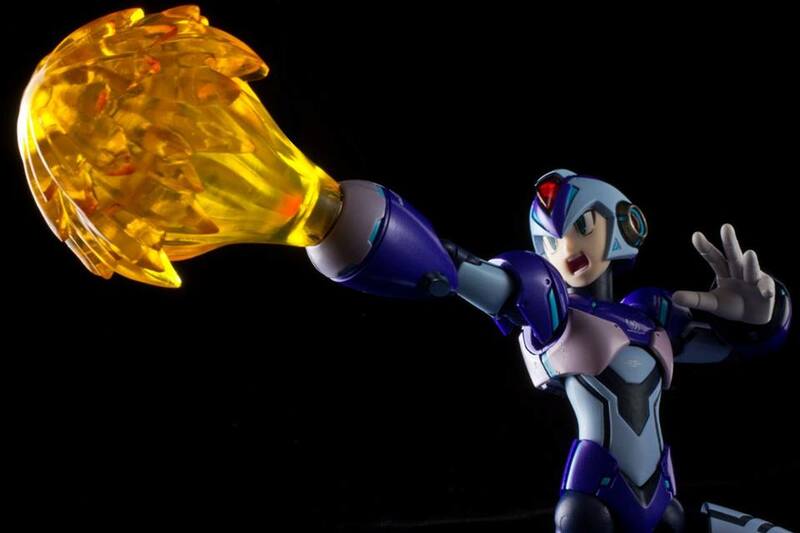 Still really cool, but again, I just can't justify $80 on him. Think that he might be released cheaper at some point?